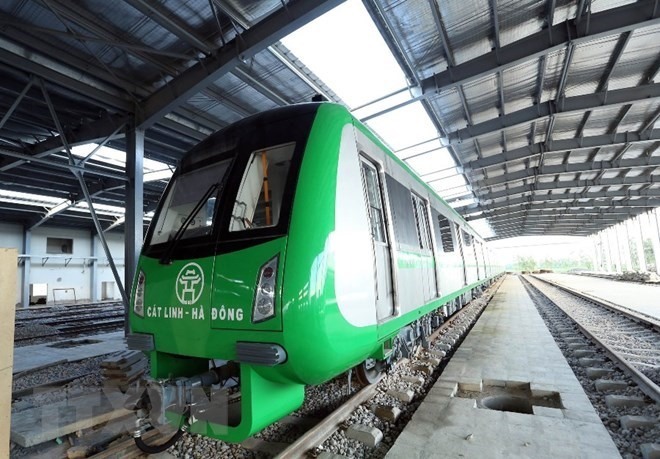 HÀ NỘI — The transport minister has requested the railway management board to work closely with contractors to put Cát Linh-Hà Đông elevated railway in trial operation in August, one month earlier than expected. The first elevated railway line of Hà Nội was initially scheduled for a test run in September. At a meeting held on Wednesday to assess the implementation of the project, minister Nguyễn Văn Thể said that the trial operation was an important stage to check and ensure stable and safe operation of the system before it is officially put into commercial operation. He said that an European consultancy was conducting a review and evaluation of the safe quality of the sky train system following the design standards. The 13km-long railway project of the Ministry of Transport has a total investment of US$886 million, of which two-thirds were loans from China.